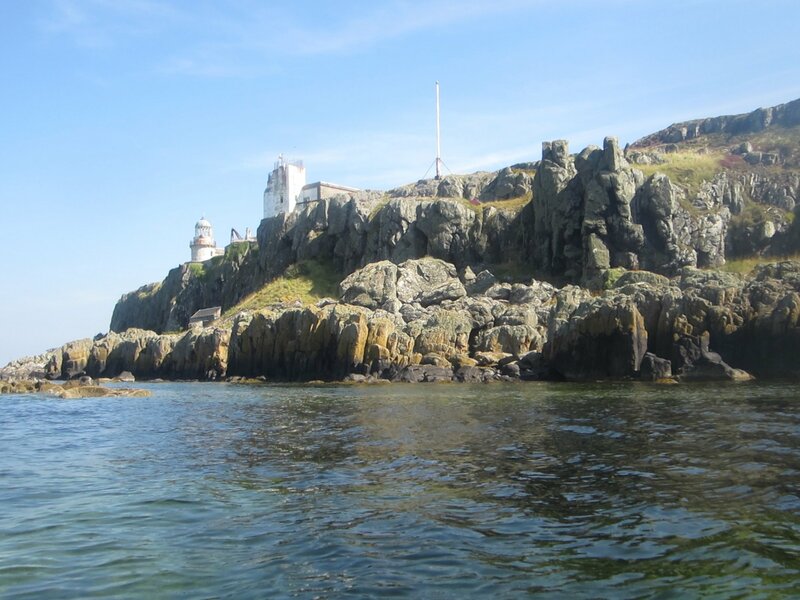 Report: Portencross is a cluster of houses around a small castle. By the castle is a tiny dock that provides easy launching but no parking. Fortunately 135m before there is an excellent car park so it is recommended that you drive to the dockside, unload and park in the car park. The weather was superb with just a light breeze and a gentle swell to keep things interesting. Arran looked wonderful in the glaring sunlight. 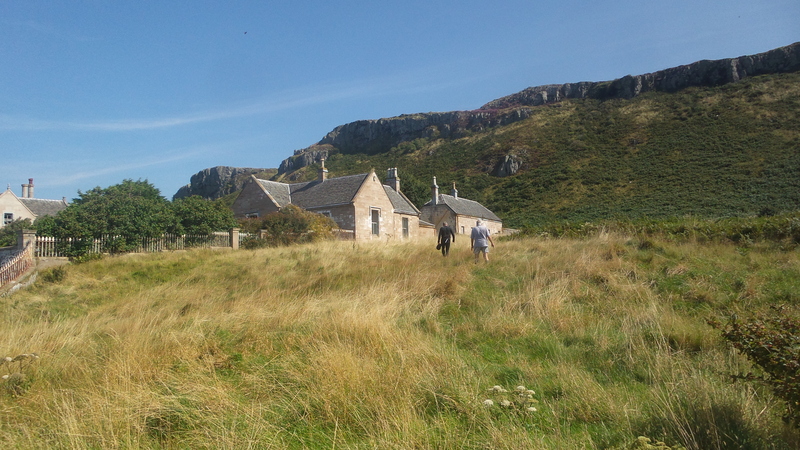 After rounding the headland we headed for the old lighthouse station. 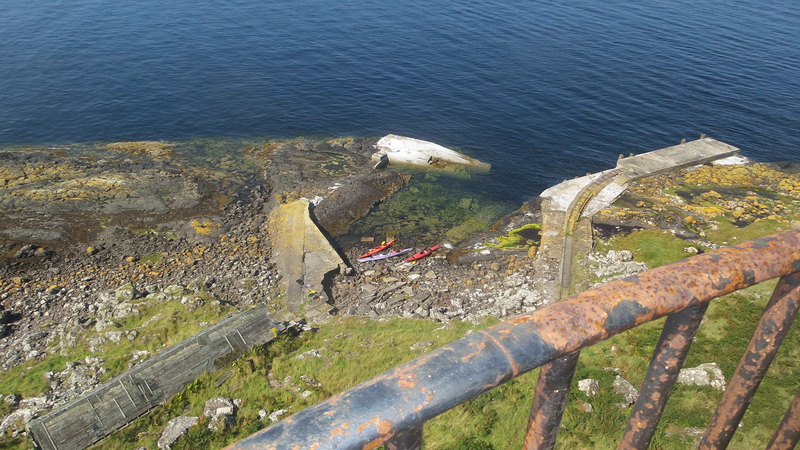 We landed at the foot of the cliff on rocks and broken concrete that once formed a dock for the lighthouse and its community. 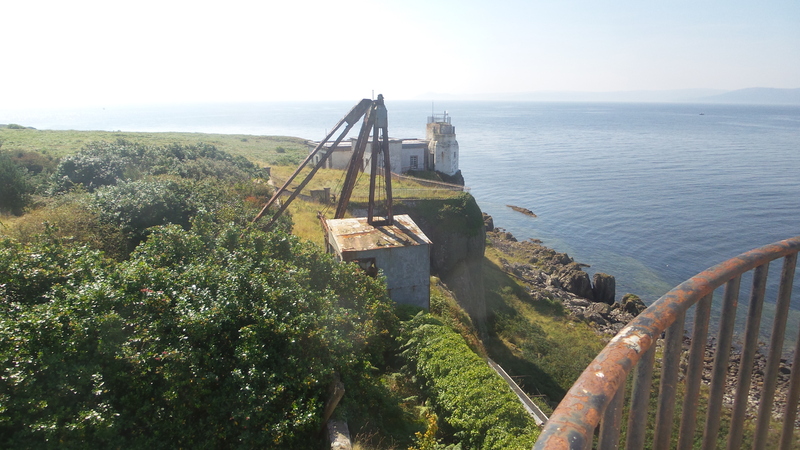 There was once a considerable complex here with three houses, the lighthouse itself, a huge fog horn and numerous ancillary buildings. From the ruined dock materials were transferred by a small railway then lifted up the cliff by a jib crane. A steep long set of steps provides access on foot. Exploration of the site and an extended lunch break in the sun added the best part of an hour to our journey. 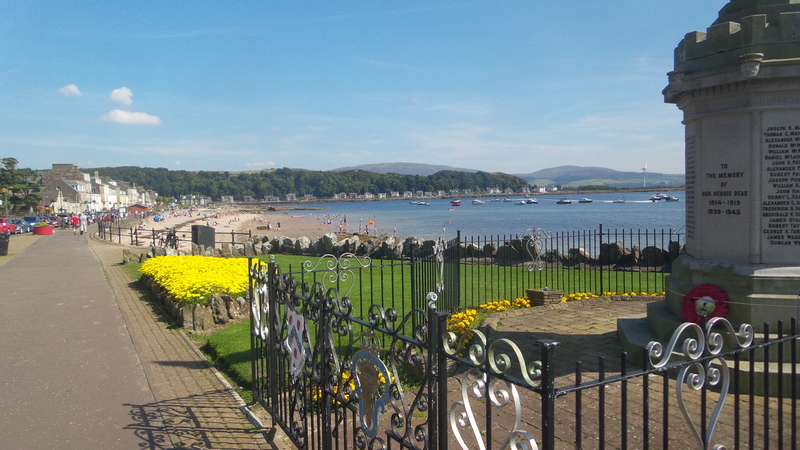 The choice was then to cross to Bute or go for an ice-cream in Millport on Great Cumbrae. We opted for ice cream. 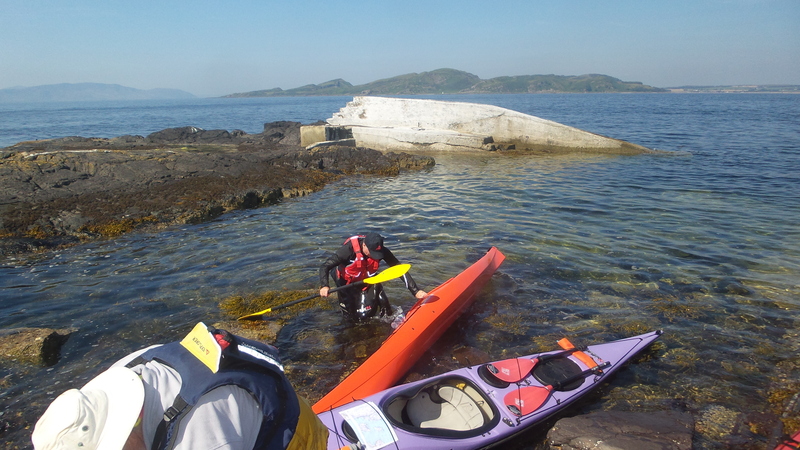 The paddle across to Millport was surprisingly bumpy. 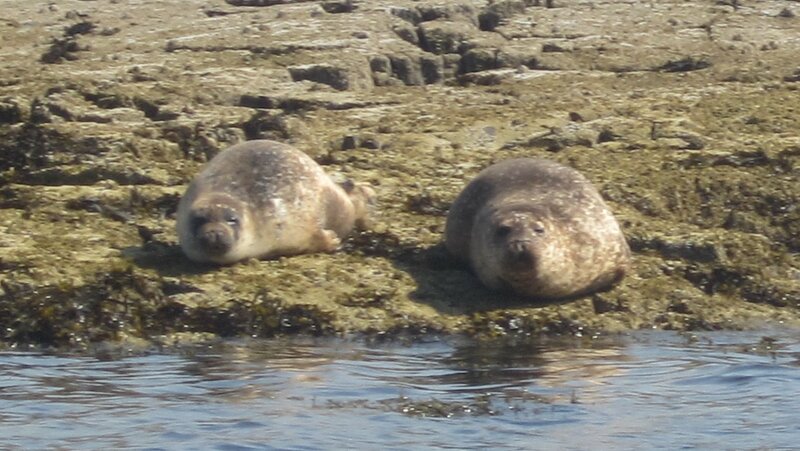 Just off the beach we met a mature trio from Clydebank Canoe Club out from Largs for a paddle in the sun. The beach itself had a coating of small children and mature enjoying the sun. The ice cream was delicious. 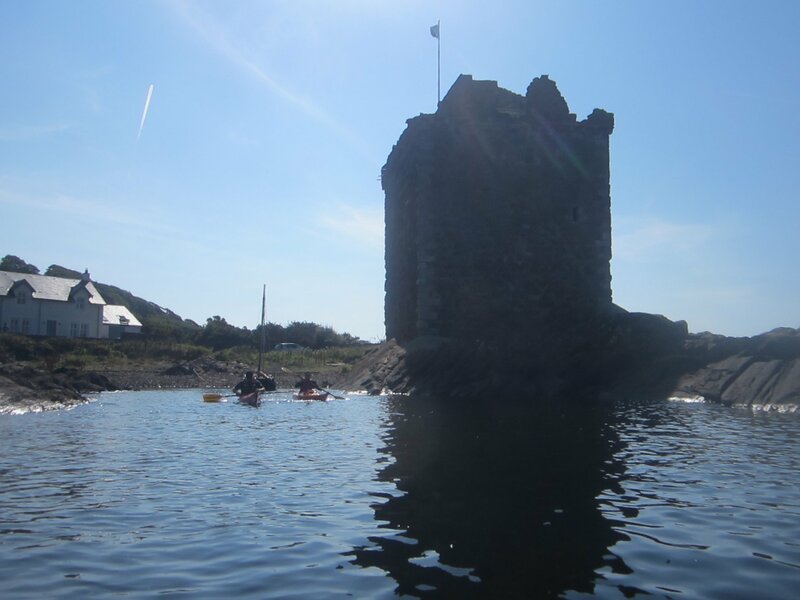 From Millport we paddled back into a stiffening breeze, to the east side of Cumbrae where there is another small castle and a lovely house passing hundreds of seals and a variety of sea birds including Geese and guillemots. The cluster of houses and the castle belong to an Indian doctor who, with his wife, is a devotee of an Indian sect based upon Yoga and meditation. 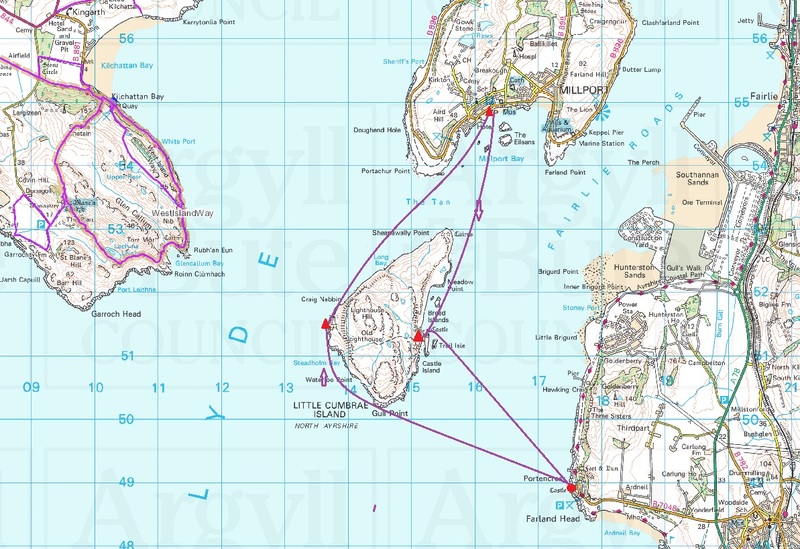 Wee Cumbrae appears to be an important centre of the sect. The castle is well preserved, fully open and well worth a visit. After a prolonged coffee break in the sun, we headed back across the sound to Portencross. 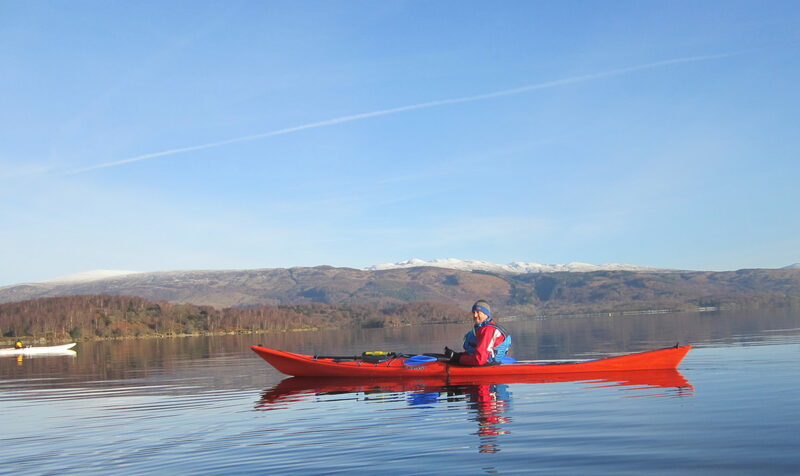 It was a hugely enjoyable paddle. 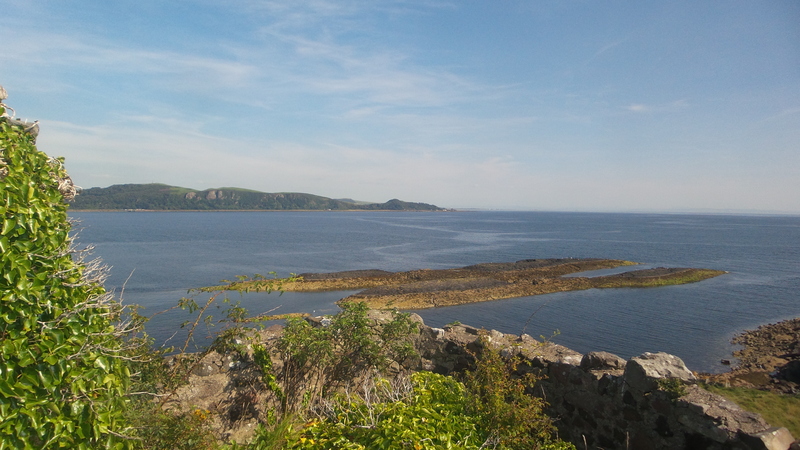 Wee Cumbrae is thoroughly recommended as a destination and Portencross a recommended departure point.